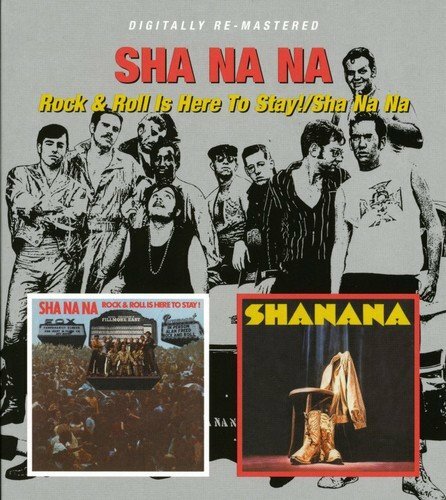 2008 digitally remastered two-fer featuring a pair of albums from the Rock revivalists on one CD: Rock & Roll Is Here to Stay (1969) and Sha Na Na (1971). Both of these first two Sha Na Na albums made the U.S. Top 200. Sha Na Na's big break came at the original Woodstock Festival and from there went on to huge live success in the States and Europe. They are now best known for their syndicated TV show from the late '70s and early '80s that turned them into a household name (who can ever forget Bowzer?). 28 tracks. BGO.